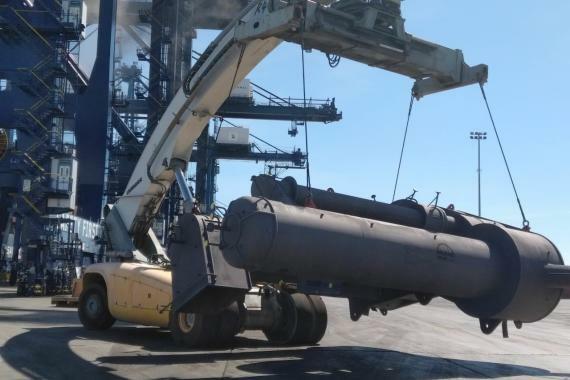 The cargo was loaded onto a Jumbo Heavy lift vessel in Rotterdam, destined for a Chemical Plant in Houston, Texas. Upon arrival and after commencing discharge, the US authorities found the packing of the cargo to be contaminated with a species of Horntail (wood wasps) and immediately ordered for the shipment to be reloaded and the vessel ejected from the port. This is where CLS came into the picture. 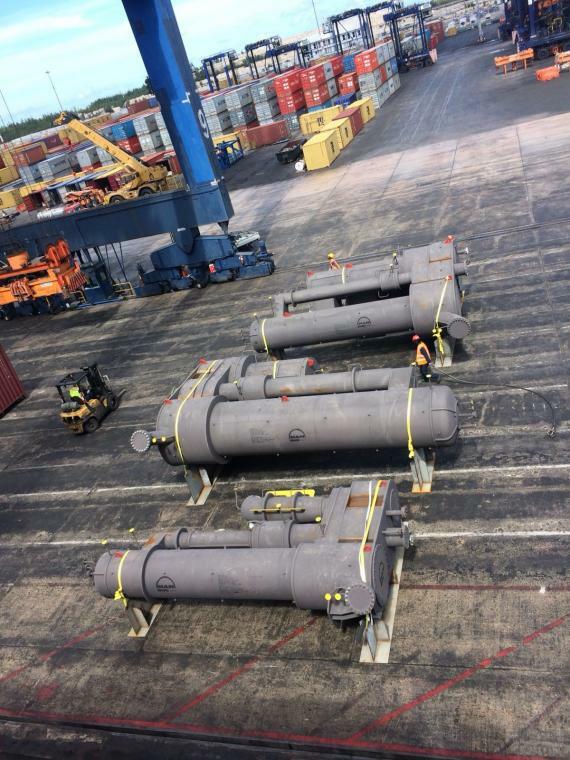 The shipper’s charterers contacted them in search of an alternative port within the Caribbean where the cargo could be discharged, fumigated & repacked. They investigated alongside the Dominican Authorities who denied permission even in the roads off the Caribbean coast. Fortunately, in the meantime, the shipper managed to gain permission to push the operation into Panama, so the vessel set sail. After arrival & inspection, the Panamanian authorities denied the operation. CLS were then re-contacted and asked, once again, to look for options; Colombia, Venezuela refused, but positive responses came through from the Bahamas. 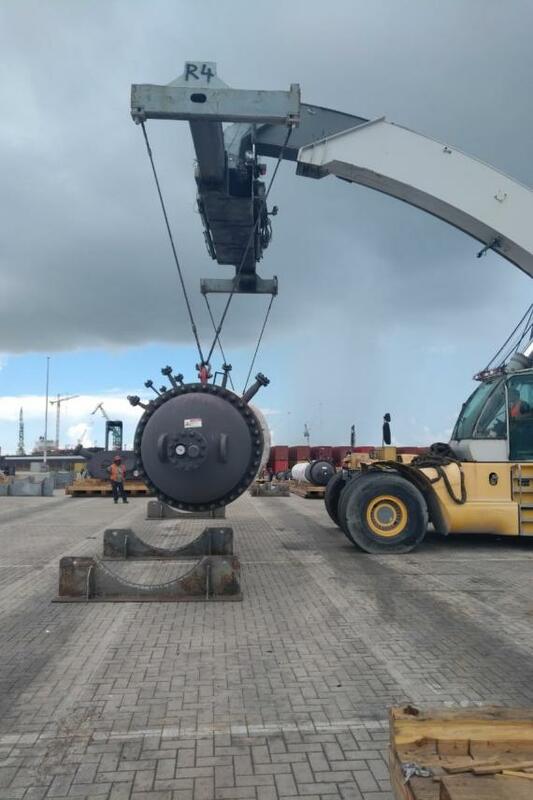 After much deliberation, the shippers agreed to steam the vessel towards the Bahamas, pending the ‘firm’ permissions – if denied prior to arrival, there would be no other choice but for the vessel & cargo to return to Rotterdam in hopes of resolving the situation there. The fumigation process was somewhat problematic due to the toxic nature of the fumigant - thus if fumigated aboard, the crew would have to be evacuated for the duration, which was logically infeasible whilst the vessel was anchored. In addition, the prescribed fumigant (methyl bromide) is being phased out in the U.S, so an alternate fumigant had to be found. This was finally determined to be Sulfuryl Flouride, but since there is no record of its effectiveness against Horntail wasps, the authorities agreed to a dosage ten times stronger than normally used against termites, with treatment completed a minimum of 60 hours prior to final inspection and approval to dock & discharge. These obstacles extended what was estimated to be a 10-14 day operation to a whole month, until CLS finally loaded their cargo using MSC. "I found very comfortable to work this project cargo with MSC. 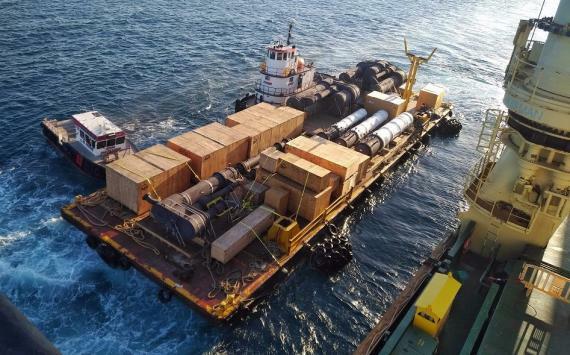 I cannot say the same for Hutchinson’s terminal (FCP), they were lacking in experience in not only handling bulk project type cargo, but also in their invoicing (which was totally container oriented). I had to expand my realm of supervision, to also help them and protect our client." Additional complications appeared with convoluted packing construction. Since CLS were not aware of the packing configuration and structure, one case took them more than 3 hours to dismantle - with another 5 hours to sort & tally its contents. To avoid any further agricultural problems with the U.S, CLS decided not to repack in lumber, but to fabricate steel cradles for the large units and load the ancillary cargo loose into OTs & DVs. This extended operations by another week as they waited on Freeport Shipyards to build the cradles. 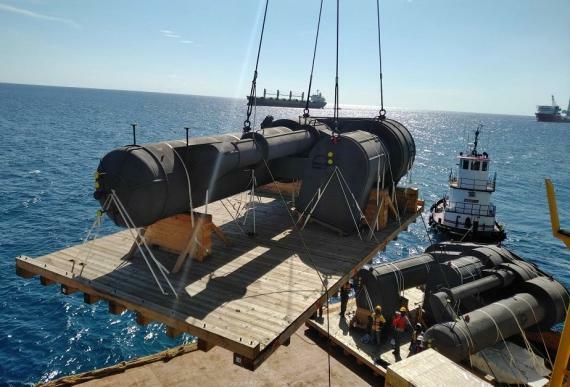 "It was fortunate for the project engineers that they made this shipment early with the 600 MT chemical reactor that had to be installed on site before these ancillary parts & equipment. So, due to this, the delay did not affect the overall project time line to any great extent. According to the information gleaned during this episode, it was generally surmised that the wood used for the packing in Germany was not all necessarily treated at the requisite 60°C and/or not for the requisite time. According to my information the heat treatment makes the wood unpalatable to the wasps, so any larvae embedded within the wood that may hatch die of hunger."